Are You interested in a Taurus Astrology Sign? When you are in the company of a Taurus sign, you will soon see how beguiling they can be, not only are the caught up in who you are and what you have to say, they are in return just as fascinating. To attract Taurus they must think of you as a good and honest, sensible, upstanding, and realistic person. If you want Taurus don't be demure or meek, be sweet then a little cool and then scold them on something. Do this in certain instances, and Taurus will try to win you over. Being that Taurus astrology sign people are on the traditional side, you would think they like an old time kind of romance. Man asks out the woman, getting to know one another in a nice and enjoyable way... being sweet and affectionate. In trying to get your Taurus astrology sign man or woman attracted and attached to you, be a little bit unkind to them at the start of your association. If you are too sweet and affectionate with them, it's too easy... and they will think of you as not being worth much. Taurus people know the value of hard work... and you need to make it hard work. Taurus astrology sign people may talk to a person who is an oddball or doesn't conform, but they prefer a person like them, a bit more traditional. If you are a person who refuses to conform to societies rules, Taurus will think there is something peculiar about you and things won't go as smoothly. Taurus will become more comfortable in thinking of you as a romantic prospect if they realize you have many common beliefs and preferences. He or she wants someone who comes across as reasonable, stable and dependable. Taurus is slow to decide on a romantic partner, even if it's obvious that a person is just right for them, more on this later. Discover what your Taurus astrology sign prospect respects and admires in people an be those things. Try to get Taurus to reveal what he or she thinks about matters in life and where you can concur with his beliefs. If you want to attract a Taurus astrology sign, you should know, they only respond romantically to like-minded individuals. The adage opposites tend to attract is not one that Taurus subscribes to. They believe that in order to really have a lasting relationships that is also happy, a couple needs to share certain thoughts in common. These beliefs, avocations, sentiments and preferences should match. Don't think you can get the reins on Taurus the bull by showing them your superficial successes. Oh no, this will only interest an Aries. To attract a Taurus astrology sign, you can let them know about your collection of anything that is actually worth money, show it off, Taurus will be captivated..
You shouldn't bother though if they aren't worth money. No tacky clothes or dropping names of famous friends will get you this pragmatic and down-to-earth guy or girl. You will do better having a good job and cash in your bank account. One subject that is a sure winner with Taurus, money. One thing though, try not to bring up gambling unless you are talking stocks. Chat with Taurus about secure finances; cautious investing, real estate, the percentage you get on your money in the bank. Stay away from any talks about gambling which for a true Taurean would include the stock market. Actually, Taurus will tag anything that isn't Government secured or blue chip stock, gambling. Don't tell Taurus you buy your daily or weekly lottery ticket without fail. If you ever run out of conversation starters with Taurus talk about finances, stocks and the like. A Taurus astrology sign will want to know about your family and ancestry, this will impress if you come from a good one. It almost could fit in a Jane Austen novel. Do you come from a respectable family that have the capacity for thought and reason? Is your Father a man of good reputation? Your Mom the epitome of wonderful mother and woman? Are you from a long line of stable marriages? You may have had a bad childhood with parents who weren't the best to you, don't badmouth them to Taurus; they'll connect what you say is bad about your parents to you and think " it's in your blood". Do you see the beauty of nature do you love it? You will attract a Taurus because of that. Do you like to go hiking, rock climbing, even running in the park? Good for you. Do you like gardening? Do you know the names of plants? The botanical name? Ooh, you’re smart, Taurus will like this too. If you are invited to the Taurean home and he picks you up, tell him you like his car. Tell Taurus lady you like hers. Once you are inside Taurus' home show appreciation for their decorating style. In fact, you should show admiration for the way they dress, accessories they wear and everything else about their style. Most of all make sure Taurus knows you appreciate them, for them. Taureans love to eat. Don't have dinner with or make dinner for a Taurus unless you are prepared to go all the way, with food that is. If you like to pick at your food and you share with Taurus, be careful they may clean the plate off before you get your fill. Taureans eat quickly, but don't pick on them. They will be hurt, they think pigging out is a very natural thing. If you go out to dinner with a Taurus lady make sure you take her to a place that serves decadent and scrumptious food; don't forget the wine either. If you are cooking for your Taurus man, make sure that you don't serve in French servings, but in ample American servings. You also need to make sure dinner is delicious. Don't complain that you are a finicky eater, or you if you eat something you'll have allergic reaction to this or that; keep those things to yourself. Taurus's usually have a sweet tooth, buy decadent baked goods or bake for them often.The great and wonderful thing about Taurus is that they always arrive at your house with a nice wine and a decadent dessert. Now, can you resist that? With a Taurus, you must say the right thing at the right time; this way you get Taurus to open up, they tend to think too much. And you shouldn’t be the talkative one, let Taurus talk... once they start they has lots to say. Sometimes, they do begin to talk and they drag things on, you can stop that with a quick remark. Taurus will tell you their views clearly if you listen to what they say about other people they know. These are hints if you look for them on how he/she will expect you to act and what he will not like if you do them. You will also discover where his/her head is at on different issues. Don't ignore or make Taurus think you're ignoring them when they're talking to you, they become petulant. You have to be the one to motivate Taurus to make up his or her mind about you and love. Taurus's are notoriously slow to arrive at a decision and if you don't incite them to choose, they won't and you might give up or they will just feel as if it's too late anyway. Let Taurus see and hear how much you like hanging out with them, more than any other. You can also tickle their funny bone, they don't laugh out loud as much as they should and they will associate you as good for them. Remember that Taurus has a big sense of humor they finds some things funny that you would never guess they would. But, a Taurus astrology sign person, can't be hurried into anything, if you try and push Taurus to a decision, they will dig in where ever they are and stay there, just on principle. Things in Taurus life have to be built layer by layer, with the bottom layer being a strong and secure base for everything there after. 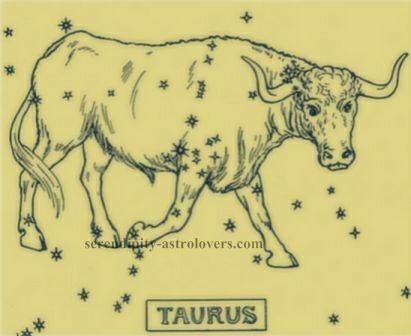 Above all in trying to have any romance with Taurus you have to prove to be tolerant, controlled and persevering. This goes back to where I said in the beginning, find the qualities that Taurus admires in others and be those things, not to mention, Taurus also has whatever qualities they admire in others.